We have one bedroom available in a 3 bedroom unit in Auchenflower. The bedroom is shown in the floorplan as Bedroom 2. The bedroom comes unfurnished. It can easily fit a double bed and a small desk. The rest of the unit is furnished. The rent for bedroom 2 is $190 per week and includes a designated carspace in the secure undercover carpark in the unit block. The unit has 2 large private outdoor living areas, with one balcony facing north and the other south. There is plenty of space to soak up the sunshine in the morning and catch the cool afternoon breeze. The area out the back of the unit is right next to the pool and is private to our unit. The unit features: - Outdoor pool (shared with other units) - Shared barbeque area - 2 large sheltered outdoor areas (private to the unit) - Lift from garage up to unit - Gas stovetop - Great location - close to city, UQ, QUT, public transport and Toowong shops. Ubers to the city/valley cost ~$8-12 The unit has gas cooking and gas hot water, and these bills are included in the rent. The rent doesn't cover electricity or Internet, so these bills are split evenly between all housemates. We have unlimited Internet which is ~$14 each per month. Power varies based on usage but is low, as we don't pay for hot water or the cooktop. The total rent for the unit is $620. The room will be available from the 4th of May as our current housemate is moving back to Canada. No pets are allowed by the property management and neither is smoking. Ideally we are looking for someone who wants to stay until our lease comes up for renewal in January next year. Unfortunately no couples, as the maximum occupancy is 4 people. Don't want the hassle of flatmates? Then we've got the place for you. Available April 29. 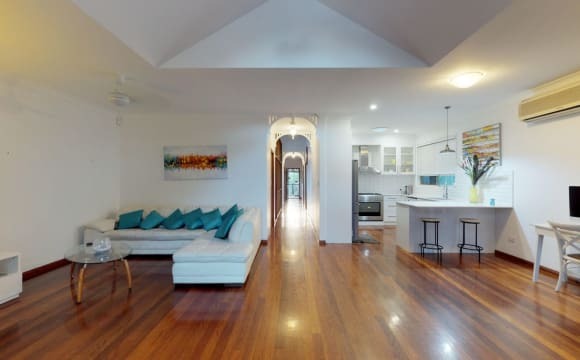 We have a ground-floor granny flat/ with a big bedroom area, living room, well-equipped kitchenette, and bathroom located in a stunning renovated Queenslander. The flat features private entrance, timber floors, modern bathroom, large desk, and French doors opening up to deck and a huge grassy lawn. It is fully furnished - right down to TV, stereo, blender, crockery and linen (if you need). Just bring your own clothes. It's three blocks from Rosalie village, two blocks from Milton shops, 600m to Milton Station, ten minutes walk to the Wesley Hospital and 30 minutes walk to the city. We are a professional couple in our 50s with no children looking for a quiet, tidy person who is friendly, respectful, non smoker and wants an independent life -- but happy to say hello when we bump into each other. Ideally we are looking for a female, professional 30+ years of age. The price is $320 a week inclusive of all utilities and internet, mowing, air conditioning. Common Law Agreement available. Note: I napalmed the lawn last year, but aim to get it back to bliss. Gardening experts welcome but not necessary. Master room available on the 27th of April. The unit is just one block away from Auchenflower train station. One street from Wesley Hospital and 2 from Coronation Drive. Is a nice an relaxing place so close to city and great public transport around. Train, City cat, and bus. The park in down the street and Toowong village is less than 5 minutes away. 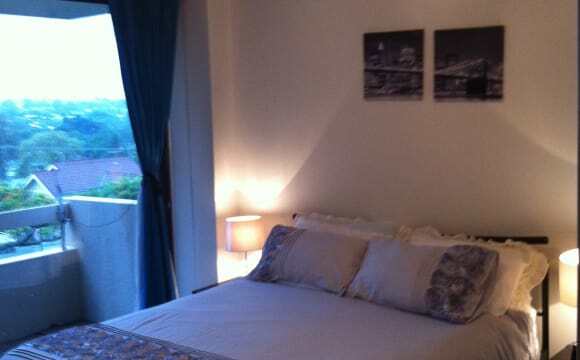 You will have the Master room which is fully furnish with a Queen Bed an ensuite! 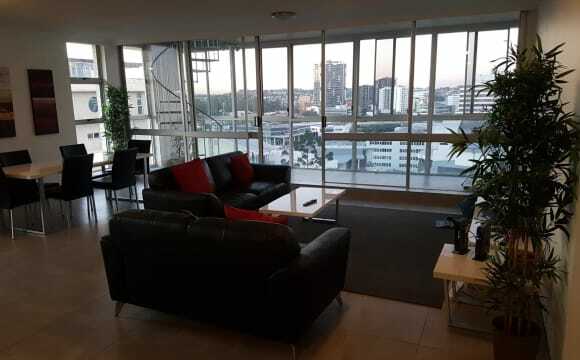 This is a lovely apartment on the river so it is cool and has great river and city views. There is a pool to relax and cool down in as well.... It is fully furnished by the owner who has relocated to New York temporarily for work. Everything is provided except for linen so ready to move in. It has great transport options with train 300 metres away and only two stops to the city The bus is 10 minutes to the city and is in the front and ferry is 5 minutes walk. 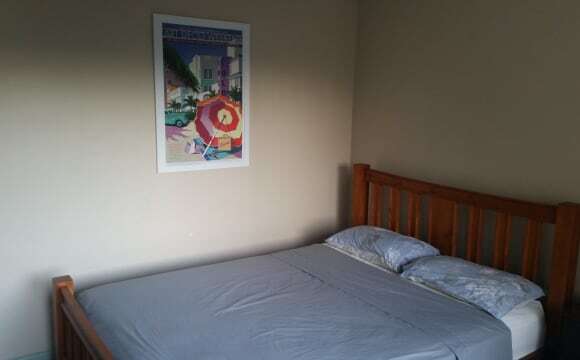 There is also the bikeway to the city and UQ The rent includes all bills being water electricity and internet. We also don't worry about the bond depending on your circumstances Totally equipped so you just have to move in with your sheets! It is $300 but less $20 for singles as all outgoings are included. 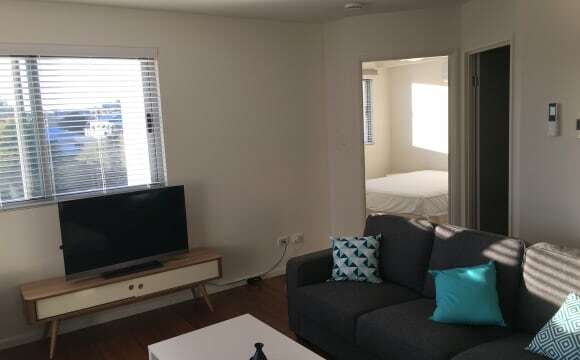 1, Ensuite Room w own bathroom, TV,air-con,fridge. queen-bed,drawers/bookcase, desk &amp;chair. built-in. 270/W. including all bills. for 1 person , no pets, please. 2, Sglrm w queen bed,TV,A/c,frdge,dest&amp;chair, wordrobe,bookcase…. 230/W,including bills.1person. no pet. Available now.6 months minimum. This house was designed very functional and every room is privacy. A big kitchen and a laundry for share. We have fire management plan in place. The external entry is coded, you have your room key. This is a high-quality single’s share house. The house mates are quiet, considerate，nonintrusive and simple. At moment most of them are professionals and long stay, English,Indian and Chilean. The house has been renovated and locates at the top hill of Grimes st, Auchenflower. (zone1). The handy location has a great access to bus \ train and ferry system,even easily enjoy the river walk. We have a big back yard for parking if you have a car. Some restaurants, grocery, bottle, beauty, flower, bike shops are just cross the road. It will be ideal for a professional or a mature student who wants his or her own space. Hoping you are Tidy, reliable and a non-smoker. Contact the good landlord Sunny THANKS! Hiya! 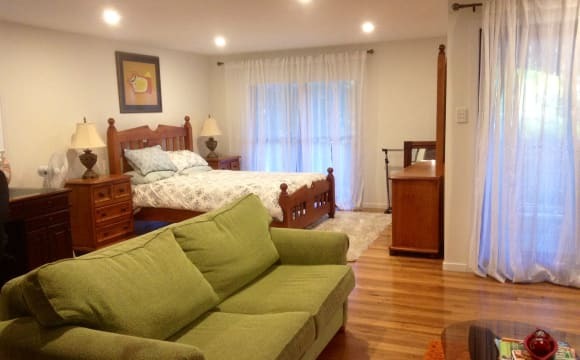 Available now is a large bedroom on the upper level of a two-floor house. The bedroom comes with built in wardrobes, a fan, air-con!, and balcony access. You would have access to your own bathroom to use. The house comes with a large lounge room, kitchen (gas cook-top) which opens out onto a large back deck and yard (all shared with a couple). Unlimited internet (cable, $19/month), power and water are split between the house-hold members. The house is in a great location close to transport (bus and train), food outlets (Rosalie/Milton/Paddington) and green space (inc. sport and rec areas). Check out the pictures to see more!!. Aircon is in all spaces of the house :) The house is a little tricky to explain. It is split over two levels which are each self contained but joined at the front and back with staircases. Each level has its own lounge/kitchen/dining/bathroom. Upstairs there are 2 bedrooms (one couple + you) and a study (which you are more than welcome to use!). Downstairs there are 2 bedrooms used by two housemates. The only "shared" aspect of the house is the laundry and outdoor areas. This is a beautiful and spacious house with a terrific location. It is within close proximity to public transport, supermarkets, shops and restaurants and in a nice quiet neighbourhood. This house will allow you space and privacy with the room being separated from the lounge room, a walk in wardrobe and a study space for those who require it. We have a nice big kitchen with a comfortable open living dining room and lounge room. The bathroom and laundry are both shared, and we also have Netflix, Playstation, BBQ and Table Tennis in the house. ****Free Wi-Fi and no bills to worry about it**** in Toowong’s most exclusive guest house with en-suited rooms. Toowong is a vibrant and exciting place to live in Brisbane. Our Guesthouse offers a great location with easy access to the charming coffee shops and iconic antique stores of Paddington, along with the nearby nightlife of Paddington, restaurants and live music. The University of Queensland at St Lucia and Queensland University of Technology in the city are close by, with easy access by all modes of transport. The delights of the Brisbane River with its cycling and running paths are all within easy reach. Amazing shopping centres at Toowong and Indooroopilly are close by and have the all the big brand shops and department stores. The Guesthouse itself has a contemporary feel, the rooms are modern and spacious, and have their own ensuite. Parking is available at our Guesthouse. The shared spaces, some with BBQ facilities, lounge and dining, are attractive and promote inclusive living. Wi-fi, electricity costs and air-conditioning are all included in your new home, which also provides privacy and quietness. We have a state of the art gym, meditation spaces and a beautiful tropical swimming pool to enjoy. Security is important to us, therefore CCTV, keypad entry and onsite management are all part of your safety. We look forward to meeting with you, and welcoming you to Brisbane Boutique Guesthouse. Please note **mattress protectors are provided, however we ask you create a personal touch with your own bed linen. ALL BILLS INCLUSIVE + WIFI !! Resort Style Guesthouse This is a large room with plenty of room for your desk or favourite TV chair. The bathroom is shared with only one other. 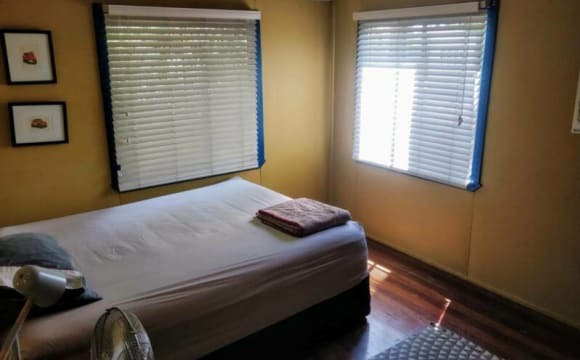 Our rooms are tastefully furnished, great beds and flat screen smart TV.The guesthouse is 5 mins walk to bus stops, 10mins to CBD,15 min walk to Toowong train station and village, 20 min to the Regatta. Toowong village offers an array of restaurants and shopping.There are many places of public interest close by Eg: Koala Sanctuary, Botanical gardens, Mt cootha etc Above all else Toowong Guesthouse is a great place to live, offering a relaxed living style and great amenities, modern and very well maintained. With an on site Manager , CCTV cameras because we care about our tenants safety , onsite Gym ( no gym fees ) , Swimming pool, Bq area along with great out door seating areas all under cover. Please give us a call or message if you have any questions we are happy to reply. 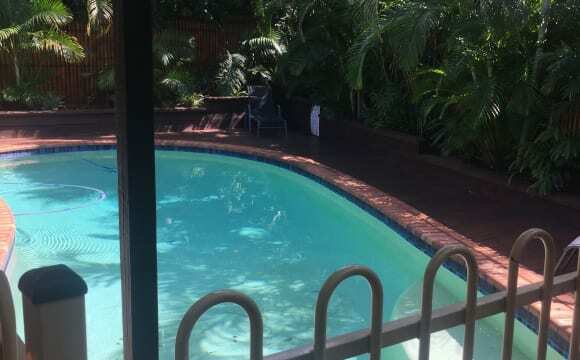 ****Free Wi-Fi and no bills to worry about it**** in Toowong’s most exclusive guest house. Toowong is a vibrant and exciting place to live in Brisbane. Our Guesthouse offers a great location with easy access to the charming coffee shops and iconic antique stores of Paddington, along with the nearby nightlife of Paddington, restaurants and live music. The University of Queensland at St Lucia and Queensland University of Technology in the city are close by, with easy access by all modes of transport. The delights of the Brisbane River with its cycling and running paths are all within easy reach. Amazing shopping centres at Toowong and Indooroopilly are close by and have the all the big brand shops and department stores. The Guesthouse itself has a contemporary feel, the rooms are modern and spacious, and have their own ensuite. Parking is available at our Guesthouse. The shared spaces, some with BBQ facilities, lounge and dining, are attractive and promote inclusive living. Wi-fi, electricity costs and air-conditioning are all included in your new home, which also provides privacy and quietness. We have a state of the art gym, meditation spaces and a beautiful tropical swimming pool to enjoy. Security is important to us, therefore CCTV, keypad entry and onsite management are all part of your safety. We look forward to meeting with you, and welcoming you to Brisbane Boutique Guesthouse. This home is peaceful and tucked away with beautiful views to Mt Coot-tha and surrounds. It is close to City transport Bus 471 stop 18, or a 15 minute walk to Auchenflower Station. Each area of the house has AC. There is a cozy living room with streaming services for the TV. The kitchen is well equipped with dishwasher. Communal areas are professionally cleaned each fortnight. Outside smoking is ok with plenty of seating available. Looking for someone who respects others' privacy and lends a hand with keeping the place clean. The available room is a double with floor to ceiling windows and amazing views. It is important to note: this is not a party house and we (my daughters and myself) are not social at all, although we are always ready to help if there is a problem. Please email enquiries as answering the phone or texts is difficult. Location! Location! Location! is SUPERB! Hey there, so myself and my boyfriend have been living in this house with our 2 flat mates in Toowong. As as we have decided to move back home next month we are preferably looking another couple to take our place. Not only is the bedroom fully furnished but so is the whole home as our 2 housemates have all of there stuff from their last places here for example; couches, TV in living room, washing machine, dishwasher, microwave, utensils, pots, pans, cups. You wont really need to buy anything at all. As a couple it will be $300 split between the both of you, so $150 per person per week. There is WIFI also which comes to $20 each person a month in the house. The bedroom will be fully furnished, a queen size bed, mattress, duvet, shoe rack, hangers, fan, laundry basket, bin, bed side tables (tv is our flat mates which was spare which i am sure they will let you use). The room is spacious with a walk in wardrobe and sun room for storage, study room or whatever you please. It is also air-conditioned. The house is a nice Queenslander with all the essentials - roomy kitchen, tv room, backyard, verandah etc. It's a great location, just down the road from Rosalie and the Paddington high street. The bardon shed is also a few minutes down the road which has an amazing range of produce. If you like the sound of the house and the housemates then send me a message. 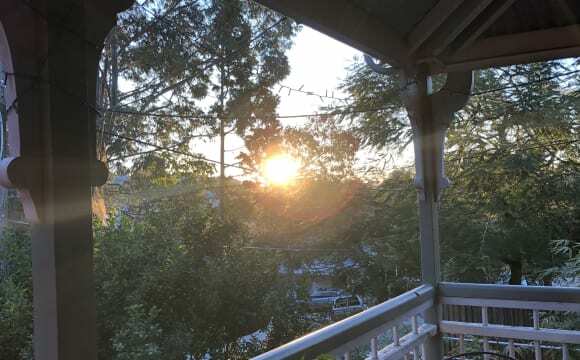 Break lease 2-Bedroom 2-Bath unit 1 Garage in Toowong location Due to personal reasons I am looking for someone to take over my unit lease which ends in late Jan 2020, you will need to sign the lease agreement with agent and 4 week bond will be lodged to RTA. This is a spacious unit with renovated interior: -	Bedrooms are large enough to fit double-sized bed (or even larger size) -	Each room comes with a 3-mirrored-panels build in wardrobe, ceiling fan with light, there is ensuit in the master room -	The living room is also large to fit different furniture -	Kitchen is separated from the living area (i.e. not open kitchen style) -	There are windows in all bedrooms, bathrooms/toilets, kitchen and living area to ensure sufficient ventilation and natural light in the unit -	One garage is included, and many more visitor parking within the complex. -	Body corporate will be cleaning/maintaining the common area in the complex on a regular basis. -	TPG FTTB is available to this unit, you can enjoy high speed internet at affordable cost. -	Swimming pool is available to tenants. 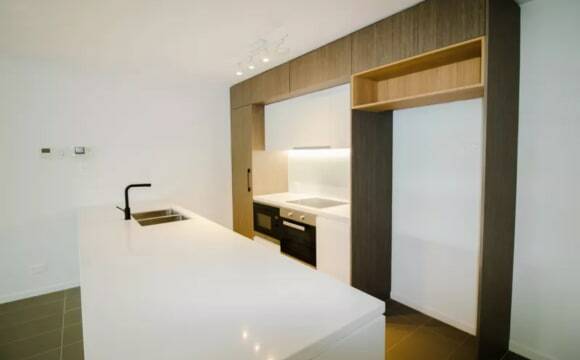 This unit has a good value for: -	Proximity to public transport (about 2~4 mins walk to bus stop to and from city, 5mins walk to ferry) -	Walking distance to Toowong village for all your daily needs -	A stone’s throw to Bicentennial Bikeway -	The unit is located in a quiet complex to suit your enjoyment. There is no exact move in date, I am more than happy to discuss about different arrangements to suit your needs. If you are interested in about the rent and other details of the unit or would like to arrange an inspection, please send a PM or text message for a discussion. 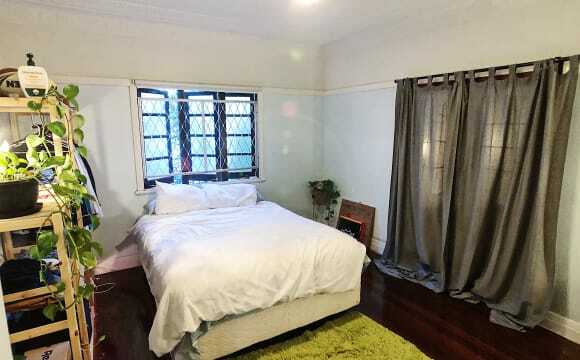 ** TWO ROOMS AVAILABLE ** This is a great opportunity to secure an affordable single accommodation room just a short distance to QUT and UQ, cafés, and shops including Toowong Village. Common Areas Lounge, dining area, spacious back yard, washing machine. Your Room Includes: Bed with bedside cabinet, wardrobe, Desk, Chair. Rent Includes: Electricity, Furniture, Garden maintenance, Gas, Water and cleaning of Common Areas. The house is very large and is central to a lot of locations. 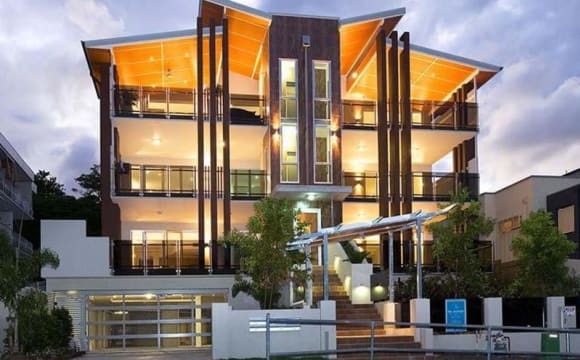 The 1 bedroom apartment is as close as you can be to Toowong village. Easy access to Toowong train station, Regatta city cat ferry terminal and high frequency CBD bus routes.In addition, it also comes with an allocated undercover off street secured car space. The unit is partially furnished with fridge, washing machine, dryer, air conditioner,stove/oven, microwave, Double size bed and storage drawers. Lower initial setup cost relative to other similar size apartments in the suburb. If you are interested, I can redirect you to the property manager to arrange for an inspection. *Photos are indicative of the fixtures and fittings and may not have been taken in the apartment. Do you work in Toowong or Brisbane city? A quiet, respectful, professional female is required to rent a room. Must be a non smoker. The bedroom has built in robes, brand new Ecosa memory foam mattress for sound sleeping. The house has high ceilings, timber floors, fly screens with shared bathroom. The house is a traditional Victorian Queenslander, safe, secure, in a nice location. Close to UQ, public transport, parks and Toowong Village. Please let me know a little about yourself. Are you studying at UQ? Or QUT? I’m looking for a quiet, respectful, female student to rent a room. Must be a non smoker. The room has built in robes, high ceilings, timber floors, fly screens with shared bathroom. The bedroom has a brand new Ecosa memory foam mattress for sound nights sleep. $180 all bills included. The house is a traditional Victorian Queenslander, safe, secure, in a nice location. Very close to UQ university, Brisbane city, shops and parks. Please let me know a little about yourself. Scape Toowong is our brand-new 16-floor, world class building which has a huge range of room types to suit you. Situated perfectly on Coronation Drive, Scape Toowong has incredible views overlooking the Brisbane River and is conveniently located beside Toowong Village, giving residents an abundance of restaurants, cafes, supermarkets, shops, and public transport options. 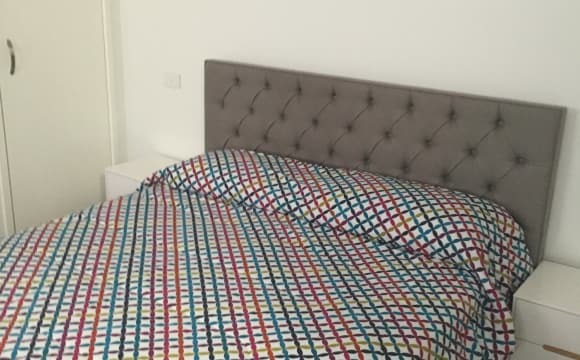 Our building has a variety of room options for you and your friends, ranging from our fully-equipped shared apartments with two, five or eight bedroom options as well as en-suite studio apartments. Students will also enjoy our incredible communal spaces throughout the building including large study spaces, a 24/7 gym, communal kitchen, cinema areas, and multiple courtyard and rooftop terraces to make the most of the view and sunshine. Scape Toowong is in an amazing location, particularly for University of Queensland (UQ) students with the UQ St Lucia campus nearby. Our students will find incredible value at Scape with our full events program to keep your social calendar as full as you'd like. We can't live without internet so we've ensured unlimited, building-wide superfast Wi-Fi for you. Our 24/7 Scape team are always there for you so don't worry about locking yourself out late at night or if you need us to sign for a package for you - easy! We've also introduced the Scape security package including door-to-door shuttle to university and a safety app for peace of mind while you're in Scape and outside too. All of this is included in the price. 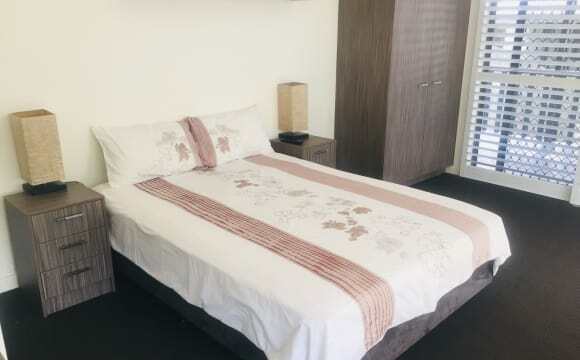 Scape Toowong rooms offer: • Studio apartments are fully equipped with a double bed, kichenette, study desk, and private bathroom • Shared apartments have a communal kitchen, dining area and lounge area, with a mix of private and shared bathrooms. In all shared apartments, there a maximum of 2 people per bathroom • Twin studios have two king-sized single beds, and share a kitchenette, en-suite and study desk area • Unlimited superfast Wi-Fi throughout the whole building Our brilliant building features: • Communal kitchen and dining areas • 24/7 concierge and security • 24/7 gym • Outdoor cinema and games rooms • Incredible outdoor spaces including a rooftop terrace • Communal lounge and study zones • Pay wave operated laundry • CCTV and onsite maintenance • Onsite housekeeping • Secure bike store • All-inclusive rent including; electricity, water, safety app, shuttle to university and unlimited high speed Wi-Fi While we're so proud of our rooms that we can offer you within this incredible building, we're even more excited to provide you with an events program that will give you an exclusive experience that only Scape can offer. Create unforgettable memories at Scape. Our residents will gain access to the best events in town as well as hosting some of the biggest names within your home - singers, artists, athletes, entrepreneurs and more. Please get in touch to find out about our 2019 line up of events. Get in touch with us to find out more about what your life could be like at Scape Toowong. This is an Only Good Vibes home. The complex is located at the heart of Toowong just 2 minutes away from shopping center, bars restaurants, train, buses and city cat. Mt Cootha is just around the corner if you like bush walking and the complex have an awesome pool and bbq area. If you bike to work the river is just 5 mins away!! This apartment is a little older however it makes up in size. 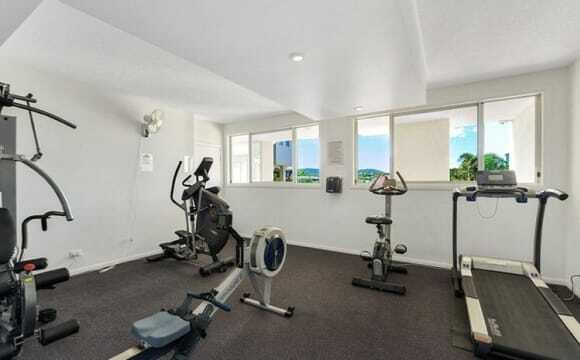 It is conveniently 70m from Toowong shooping centre and only a short walk to all public tranaport. This is a small unit block so not many people coming and going. It is close to fitness first or Snap, and great cafes. The bedroom available is the ensuite with a two door, built in mirrored wardrobe with a ceiling fan. Rent - $ 170 (including all amenities) Beautiful spacious room for rent (Single Bed, Study Table, Study Lamp , Chair, Fan and 2 Wardrobe with Mirrors) AVAILABLE NOW. Located 10 minute’s walk to Toowong Village Shopping Centre. Situated 10 minute’s drive to Indooroopily Shopping centre and 10 minute’s drive to Brisbane CBD. Sharing with a male professional; ideally looking for a respectful, friendly, clean and tidy person who doesn't mind keeping the house clean. It's a 2 bedroom unit with 1 bathroom and toilet. Fully furnished house with all present-day facilities like 60’’ Smart TV with Netflix and Amazon Prime access, High speed unlimited ADSL2 broadband internet with fastest pace WiFi, Air conditioner, new Washing machine and spacious Fridge, Sofa set and all modern home appliances for your use. It has a large living area and a balcony. The space is well designed for 2 people having their own private rooms set away from each other. Other amenities like adequate parking space even for visitors, on-street parking available without any restriction. If you're interested please email or text me brief description about yourself and convenient date and time for inspection. Rent includes all expenses (Internet, Home Entertainment, Electricity and Water). 2 weeks rent in advance and bond of $ 400. At least 2 weeks of notice must be given before leaving the place. If you have any queries please don't hesitate to ask me. Large room in a beautiful cottage on a quiet street in Rosalie Village. Own access to downstairs bedroom with fan, own bathroom, own outdoor deck. Share kitchen upstairs but some facilities downstairs. Internet and bills included in rent. No smoking on property. Some furniture available if required or can be empty if preferred. Some storage if required. This house is a little oasis in an ideal location. One street from Rosalie Village and an easy walk to Latrobe Terrace, Caxton Street, ANZ Stadium, Milton Train Station, 35 min walk to the city, 5-10 min walk to the river. We've got a huge, shady and private back yard (with tree swing) and on your bottom level you have your own outdoor deck/patio, own bathroom, lounge/TV area, built in bookcase, study area and very large bedroom. There is also a kitchenette (no sink or oven) for your microwave and fridge, but of course you are welcome to use the kitchen upstairs any time. 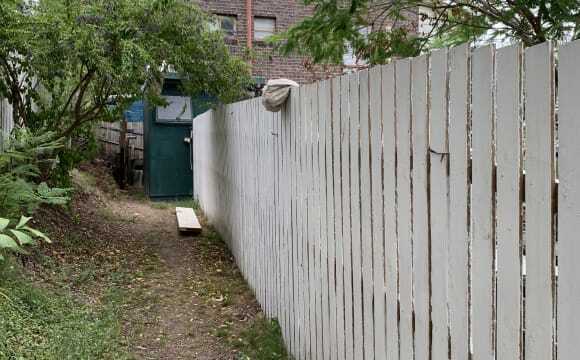 The bottom level has it's own, private access and there is a shared laundry room right out the back door. We have unlimited wifi (included in the rent). I'm sorry but I am not permitted to allow smoking on the property. The price listed is for a single occupant and will increase slightly for a couple or two people sharing. Tidy and considerate flatmate wanted for 2-bedroom, 2-bathroom apartment in Milton. The Apartment: The apartment is a fully furnished 2-bedroom apartment with a well-designed modern kitchen, dining and living areas, and a study nook. 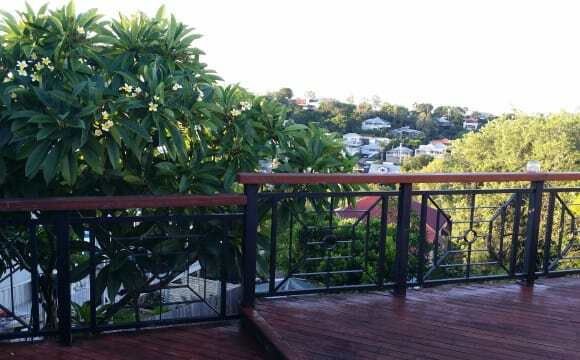 Washing machine, dryer, all kitchen appliances and a balcony with views of Mt Coot-Tha. The bedroom has a walk-in wardrobe, air-conditioning and ceiling fan, and the new flatmate would have their own bathroom. There is also a barbecue area on the rooftop, with views of the city. The apartment is only 4 years old. It has one carpark space in the basement carpark, which is available for the new flatmate to use. The $260 weekly rent includes water, gas and internet bills, but not hot water and electricity. The Location: The apartment is ideally located for students and professionals who work or study in the CBD or inner-west. For public transport users, this apartment is like a dream come true, because within just a five-minute walk are: - Milton train station - All the buses that go down Coronation Drive - All the buses that go down Milton Road - Milton ferry terminal (Citycat) It's a 2-minute walk to the fine dining and atmosphere of Park Rd. Milton Village (supermarket, butcher, greengrocer, doctors, gym etc) is 5 minutes away, and it's about a 10-minute walk to Suncorp Stadium. Internet: Decent naked DSL connection averaging 12Mbps (1.6 MB/s). No local phone landline. Decent mobile phone/4G reception. The Flatmate: The current flatmate is a male Australian postgrad student. Very clean and considerate of flatmates, and expects the high level of consideration to be reciprocated. The Downers: The apartment is right next to the train line. However, the double-glazed windows cut out 90% of the noise. Contact: If you're interested in the apartment, please message me through flatmates.com. Tell me a bit about yourself and we'll arrange a time to inspect the apartment and have a chat. Love my apartment, riverfront views and great location, great spot for vino on the balcony.